The legal team here at Joe Horrox Law has helped countless injury victims in and around Volusia County. Our legal team is especially helpful when clients have premises liability lawsuits, which are brought against negligent property owners. 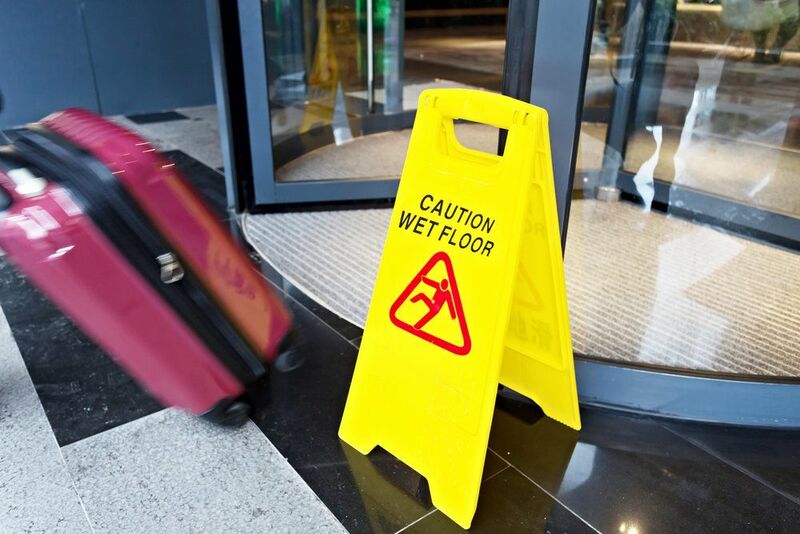 Since many of these premises liability lawsuits are related to slips and falls, we'd like to focus on one of the common causes of these kinds of accidents: wet floors. When there are wet floors at a business or any sort of establishment, they can pose a major hazard to people who are there. Slipping and falling can lead to serious injuries of all kinds, including broken bones, sprains, bruises, cuts, concussions, and even internal injuries. The wet floor may be the results of spills at an establishment or they could be the result of moisture from outdoors being brought into an establishment. An example of the former is a spilled drink or a broken bottle that's fallen from a shelf; an example of the latter is rainwater being dragged into a store because of boots or dripping umbrellas. In essence, any kind of establishment that has hardwood, linoleum, or marble floors can present some kind of slipping hazard. Businesses can do plenty to make their floors safe for everyone who visits the establishment. For one, employees should walk the aisles or the general area periodically to check for spills. If there is liquid or moisture on the floor, a "Wet Floor" sign should be placed there to alert people to a potential slipping hazard. The area should be mopped and dried as soon as possible. When there's rain, a business should consider having absorbent mats at the entrance of the building in order to reduce the slipping hazards. Textured pads or flooring near the entrance are also a good idea in order to prevent slipping where the tracked-in moisture is most prevalent. Providing umbrella bags at entrances is recommended as well, or perhaps an umbrella basket, just to ensure that dripping from umbrellas does not cause slipping hazards in the establishment. When business owners are negligent and this leads to a slip and fall accident of some kind, it's of the utmost importance that you speak with a personal injury attorney. We will assist you in a premises liability lawsuit, which will hold the property owner accountable for their negligence that resulted in an unsafe establishment. Compensation will be sought for medical bills, lost wages, and other hardships that have been endured. For more information about your legal options following a serious slip and fall accident, it's of the utmost importance that you contact our personal injury law firm today. The legal team here at Joe Horrox Law looks forward to your visit and helping you in your time of legal need.